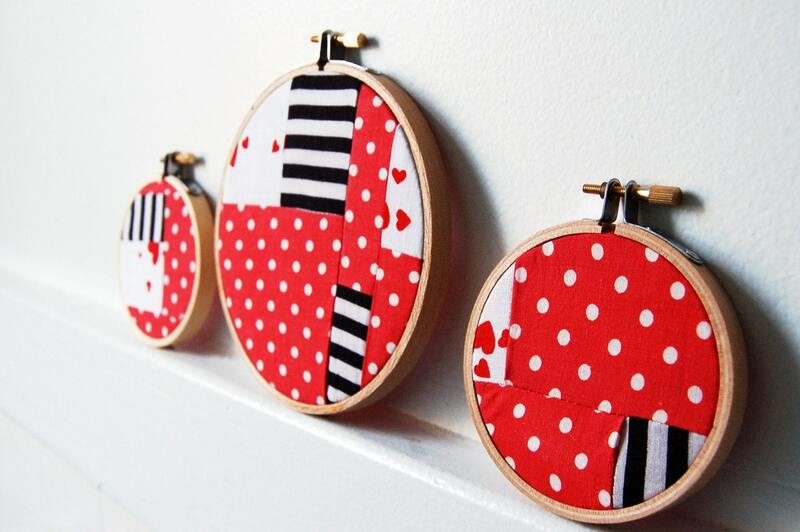 Over the Christmas holidays, I was contacted by the lovely folks at Love Patchwork & Quilting, who had stumbled upon my shop and wanted to include a blurb about me in their news section. 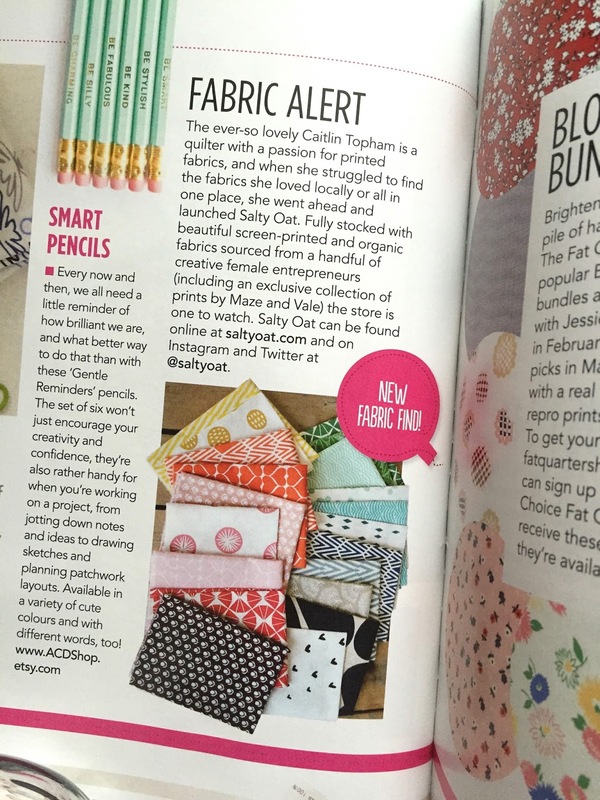 I was very flattered, to say the least, and so excited to see a short write-up about Salty Oat in the pages of Issue 18.
dog bandanna featured on Brides.com! 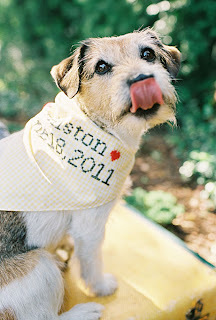 Last fall, I was contacted by Brides.com to create a custom cross-stitch dog bandanna for a photo shoot that would be featured on the wedding web site. I stitched one up using some lovely yellow gingham from the local five-and-dime, and after a bit of waiting, I'm happy to report that my bandanna is among the adorable wedding day accessories for dogs that are now featured in the online photo spread! I will soon be adding a custom bandanna listing to the shop (which is now reopened after a much-needed vacation! ), but feel free to contact me in the meantime if you're interested in a custom order or have any questions.